The automotive press is tough to please, and a new crossover needs to work hard to catch their eye. 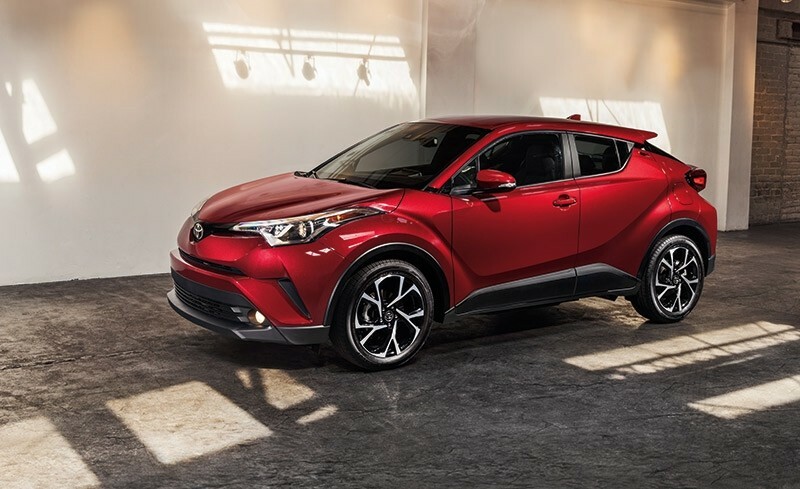 Luckily, the 2018 Toyota C-HR has arrived at Watermark Toyota. This all-new Toyota vehicle combines distinctive design and fun to drive handling, and it’s right at home near the Bowling Green area. Whether you plan to mostly use your car to pick up groceries in Madisonville, or you need the ultimate road trip vehicle, the C-HR delivers in a big way. New car critics have been quick to praise this new crossover, so read on to explore the C-HR’s reviews. Among the crowded crossover class, a vehicle needs to work hard to stand out. One area the C-HR sets itself apart is in its design. USA Today writes that the “C-HR’s attractiveness could lure more car owners to crossovers,” and its interior is surprisingly well-equipped. Car and Driver highlighted the XLE Premium’s blind-spot monitoring, heated seats, fog lights, and more as its big advantage, noting that, “It’s in the feature content for the buck that the C-HR shines most brightly.” In fact, Edmunds recommends the XLE Premium trim as well, citing its “luxury and safety additions” along with a surprising amount of value. Of course, you’ll want to try out the C-HR for yourself to make sure it meets your family’s needs. That’s where Watermark Toyota comes in. The crossover experts at Watermark Toyota are excited to introduce customers to this brand new model. It offers the same long lasting dependability that’s standard with all Toyota models, but we take it even further. The exclusive Watermark Warranty ensures that you’re covered for the long haul. Apply for financing before you arrive to get a great rate on an auto loan, and you can even schedule a test drive online. Stop by our showroom at 1055 Crossing Place in Madisonville, KY to see the C-HR in person!